When anyone begins the journey of buying a product or service, (the Road to a Sale) they begin by asking around, their friends and others they TRUST. Remember the last time you bought something? You most likely started by asking people you trusted. You asked people who you knew and could relate to. Or, you may have gone online and read reviews, testimonies etc. 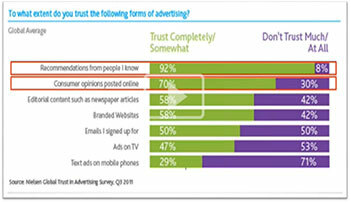 When people begin the journey of looking to buy something, they turn to people who they consider they can RELATE to, a well-known TV Presenter, a celebrity, or anyone they feel they connect, trust and relate with. 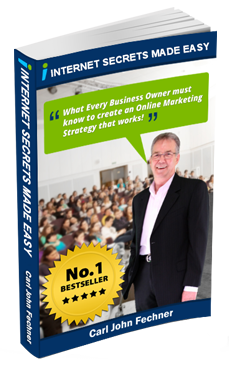 92% trust completely recommendations from people they know. Consumer’s opinions posted online is 70%. BUT when you look further down the same page. Right in the middle of the front page listings, they are come up under a website called “Product Review” and only have a 1.7-star rating by their customers. 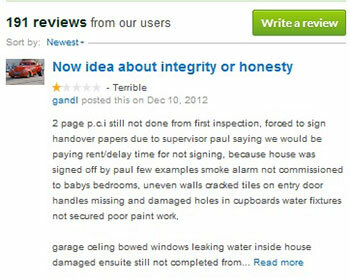 And when you drill into the page, you’ll see their Rating Summary is ‘Terrible’. That took me less than 10 minutes to check them out but look what is on the side of their reviews. After seeing this, would you let this company build a home for you? 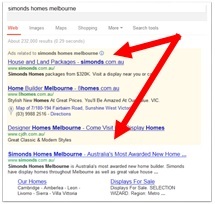 If you were the consumer, where would you continue your search? 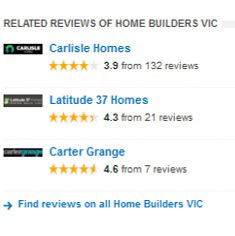 You would mostly likely continue the search by checking out one of the companies listed on the same page who have a 4-5 star rating! By Building a 5-Star Business Reputation you will have truckloads of highly qualified leads predisposed to buying from you and it is easy to do if you know how. Become “the Voice” in Your Industry; build your profile by having lots of “Raving Fans” providing 5-Star Consumer Opinions and Recommendations posted online and on your web site raving about your products and services. If you are in the Tourism, hospitality or tourist attractions industry, Trip Advisor is an amazing free web site that you MUST be on. 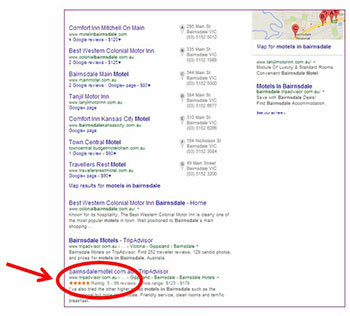 It’s a powerful review tool – So here’s an example, if you search ‘motels in Bairnsdale’, you’ll see this rating sitting directly under Google Local Listings.On the upper right corner, you’ll see Google Maps, that’s why you need to be in Google Local, Google Maps because that gets pulled up first thing on a smartphone. 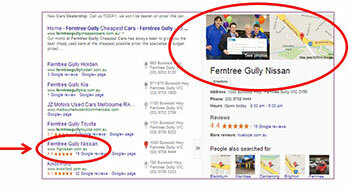 Let’s look at a couple of Car dealer locations in Melbourne. 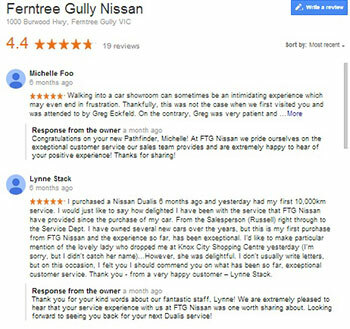 In this image, you’ll see Ferntree Gully Nissan. It’s got 19 reviews and a 4.4-star rating on Google. You’ll also notice that they’ve added photos and other pieces of information like their office hours. 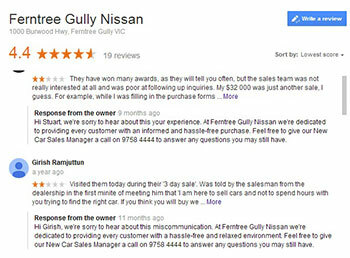 To what extent can the reviews affect your business? This is their summaries, reviews and there’s a feedback from the owner. So if your customer gives you a testimony, you should interact with them and make sure you respond to their reviews. It shows you care about their feedback.